VMware KB: User Name and Password fields does not appear on the vRealize Automation login page. This problem is between the vRealize Automation 6.2 Client integration plug-in and recent versions of Firefox. As a workaround, you may be able to move the horizontal scroll bar, causing the screen to be redrawn, thus revealing the username and password input boxes. Internet Explorer 11 appears to be pretty well behaved and the latest versions of Chrome also work well, though the Flash components may be old. VMware KB: Registering NSX Manager to vCenter Server or configuring the SSO Lookup Service fails with the error: nested exception is java.net.UnknownHostException. I have seen this error with customer installations. Even if you don’t run across the error, this KB contains very succinct instructions for troubleshooting basic infrastructure requirements for NSX Manager. VMware KB: Creating an NSX logical switch fails with the error: Unable to allocate an available resource. A couple of students mentioned this error during a lab in the VMware NSX: Install, Configure and Manage class this week. The issue is simple to create and remedy. Logical switches are assigned VNI (VXLAN Number Identifier) from a Segment ID Pool. If the Segment ID Pool is not configured before you try to provision a logical switch then you will get the “Unable to allocate an available resource” error. The resolution is to configure the Segment ID Pool before attempting to create Logical Switches. VMware KB: Default behavior of DRS has been changed to make the feature less aggressive. VMware has released vCenter Server 5.5 Update 2 version D today. In the release notes, VMware called out that a new configuration parameter has been added to adjust DRS aggressiveness when a host is going into maintenance mode. This morning VMware Education announced the availability of two new free self-paced vRealize Operations Manager 6.0 elearning courses: VMware vRealize Operations Manager Fundamentals [V6.0] and vRealize Operations Manager What’s New [V6.0] Fundamentals. The first course is an overview of the new features, architecture, key features and management packs for vROPS 6.0. The course is targeted at people who are familiar with VMware technologies and datacenter virtualization, but not necessarily vROPS or previous versions of vCOPS. The “What’s New” course also covers an overview of vROPS 6.0, new features, architecture and new management packs. Additionally, this course includes information on integration with VMware’s vRealize Log Insight and presents potential use cases illustrating how vROPS 6.0 aligns with customer needs. 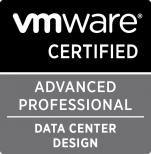 VMware does suggest familiarity with the previous vCOPS 5.x products as a prerequisite for this course. Each course contains about 2 hours of content and registration gives you a year of access to the course. The registration links and outlines are below. Get an introduction on App Volumes working in conjunction with Horizon 6, how you can manage and deploy applications, and the benefits it provides with your virtual desktops. This lab will provide you with an introduction to App Volumes when used in conjunction with Horizon 6 with View desktops and RDS hosts. You will find out the benefits of utilizing containers for application management and the simplicity of deploying applications based upon individual users, groups, departments, and company wide as well. The question of using the PVSCSI adapter in Windows Server templates comes up occasionally. The quoted VMware KB article has the VM and OS compatibility requirements as well as the steps to implement the driver. For my purposes, I don’t recommend using the PVSCSI adapter for the OS disk. I prefer to maintain the highest level of compatibility with OS versions and possible use cases. For example, MS clustering is not supported. I have seen improved VM disk performance when the PVSCSI adapter is used with applications that require higher IOPS. VMware KB: Configuring disks to use VMware Paravirtual SCSI (PVSCSI) adapters.